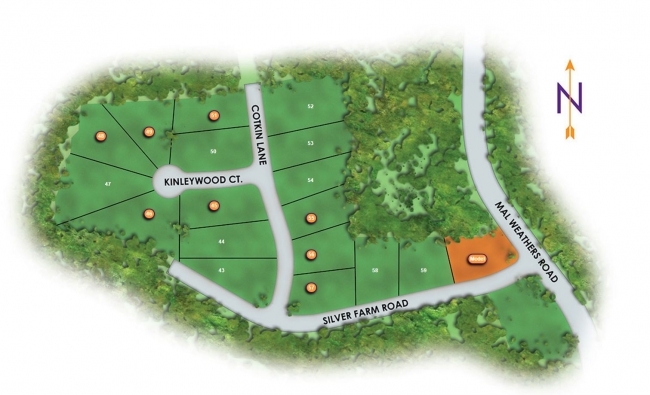 Silver Pointe offers Large tree-lined private homesites, several close to an acre! It is located is right in the middle of the action! With Garner and Clayton just minutes away, you’ll be sure to find plenty to keep you busy and entertained in this growing area. Great restaurants, cool shops, awesome recreation! You want it, you’ll find it! Plus, you’ll be in downtown Raleigh in less than 30 minutes. Minutes away from Lake Benson Park, White Oak Mall, and just around the corner from major highways to include, I-40, I-70, I-64, Hwy 401, etc. Follow I-40 E to exit 312 NC-42 W toward Clayton/Fuquay-Varina and turn right, continue to Sauls Road and turn right, turn left on Mal Weathers Road to community.